In a small skillet, saute onions in oil until tender; cool. In a food processor, combine the eggs, feta cheese, salt, pepper, nutmeg and hot pepper sauce; cover and process until smooth. Gradually add cream and milk; process until blended. Brush the inside of crust with mustard. 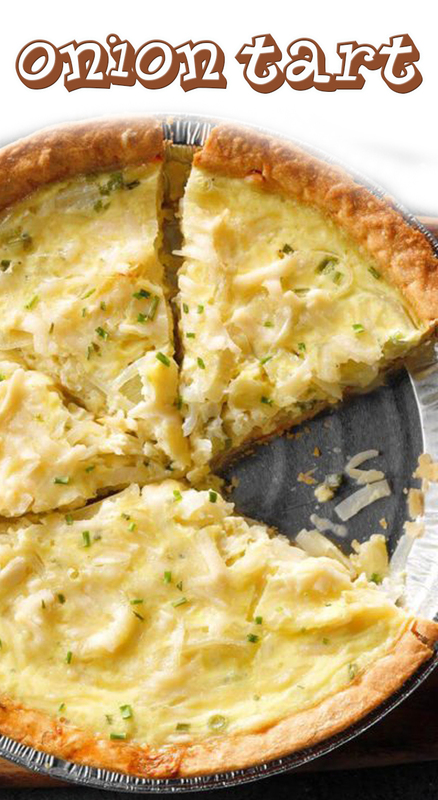 Sprinkle the green onions, chives and sauteed onions over crust. Carefully pour egg mixture over onions. Top with Parmesan cheese. Bake at 375° for 30-40 minutes or until a knife inserted in the center comes out clean.